Brock CareerZone Blog: Questions You Should Ask In Your Next Interview! 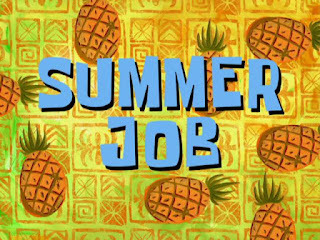 I like to call the period of time between exams and summer "interview time"! So many students are looking for summer work or part-time work, which leads to a huge influx of students coming to the CareerZone looking for tips and tricks to nail that first impression and make a positive mark on the employer in an interview. Often times, the primary focus in terms of preparation is going over potential questions you might be asked in an interview like "What are your strengths and weaknesses?" and "Where do you see yourself in 5 years?". Questions like these are great to practice ahead of time! 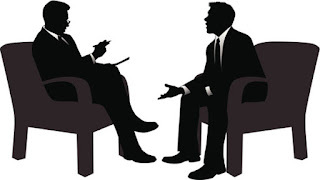 However, one aspect of the interview that many students forget to think about is developing some questions to ask the employer in the interview. Not only does asking the employer questions in the interview show you know about the company, but it is also a sign of genuine interest in what the company is doing! 1) What do you enjoy most about your job/the company? 2) What challenges could I expect to face if given the opportunity to work in this role? 3) Where do you see the company in terms of growth in the next 5 years? 4) What do you think are important skills to have to perform well in this role? 5) Are there opportunities for professional development or advancement? This is just a small sample of questions to consider asking in your next interview. Remember, the interview is not only a time where the employer learns more about you, it is also an opportunity to learn more about the company as well! If you are looking for more assistance with interviews, check out our Interview Workshop on CareerZone! Be sure to check out InterviewStream as well (via CareerZone) for thousands of practice interview questions! Wondering what a specific company may ask you in an interview? No worries! GlassDoor is a great site for finding out the experiences of others who have interviewed with certain companies so you can better prepare your answers and potential questions to ask the employer. Great article! I struggle with thinking of questions to ask during interviews, so I know this will really help me in the future!